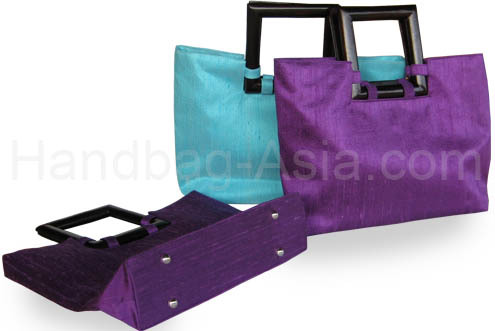 We are a Thai design team that just loves to manufacture and design Thai silk handbags and silk bags manufactured either with handwoven 4 ply raw Thai silk or the more shiny 2 ply Thai silk fabric. 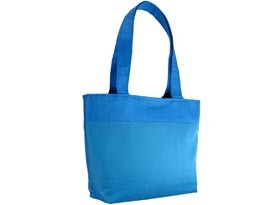 Our bag designs range from classic to contemporary and can be ordered in any size and color. 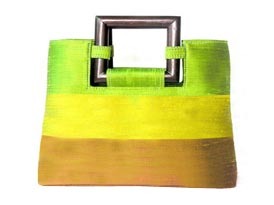 We hope our factory will have the chance manufacturing your next wholesale order soon. Greetings from Chiang Mai, Thailand. 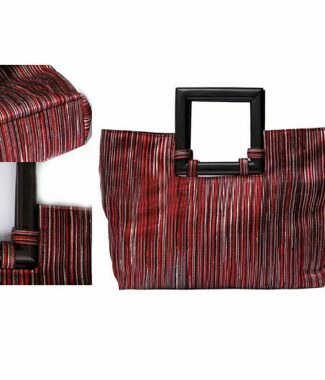 One of our best selling silk handbag in big size and classic form. 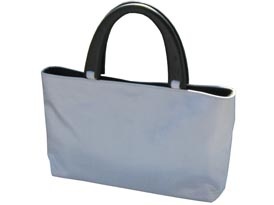 Lined with satin, zippered pockets, magnet closure. Hardwood handles (Mango wood).